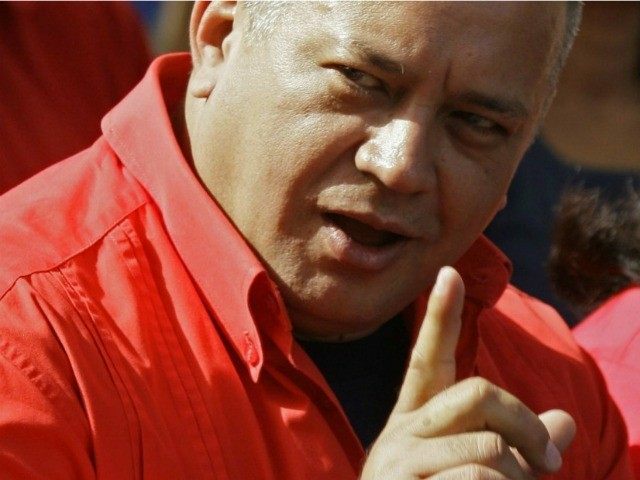 Venezuelan politician and alleged drug trafficker Diosdado Cabello lost his lawsuit against newspaper the Wall Street Journal Thursday. Cabello, who remains a close ally of socialist dictator Nicolás Maduro and Vice President of his ruling United Socialist Party of Venezuela, sued the paper for defamation after they spoke of his alleged strong ties to drug trafficking. In a 2015 article, titled “Venezuelan Officials Suspected of Turning Country into Global Cocaine Hub,” the newspaper revealed that American law enforcement officials were personally investigating Cabello over his ties to the Cartel de los Soles, one of the largest cocaine-trafficking operations in the Western Hemisphere. He has previously served as the country’s vice president under Hugo Chávez, as well as president of the country’s National Assembly before PSUV lost control of the lawmaking body in 2015. He is currently a member of the National Constituents Assembly, a fraudulent lawmaking body created by the Maduro regime. In February 2016, retired Colombian drug lord Javier Cardona Ramírez also claimed he had evidence linking Cabello to some of the world’s largest drug trafficking operations, while also accusing him of shipping cocaine to al-Qaeda and Islamic State jihadists in Africa. Other senior members of the Maduro regime, including Vice President Tareck El Aissami, are currently sanctioned by the United States for involvement in drug trafficking, as well as evidence that he is a substantial contributor to Iran’s narco-terrorist proxy organization Hezbollah.